A patient consulted her GP requesting a referral to a gynaecologist for a termination. She stated in the consultation that she did not want her husband to find out. The GP wrote a referral letter, which was placed in the “for collection” box in reception. For some reason the letter was not collected. The patient then visited the surgery 3 months later to ask for a letter for the clerk at the Magistrates court, explaining that she could not attend court due to a medical reason. The GP had the letter typed and this was also placed in the box for collection. The patient’s husband came into the surgery 3 days later to collect the letter to take to the Magistrates court but the wrong letter was given to him. The letter he was given was the one typed 3 months previously for the Gynaecologist. The husband took the letter to the Magistrates Court. When the Court clerk opened the letter and found it was not for them she handed the open letter back to the husband who then read the letter. There are several issues here – can you identify what could have happened and what action could have been taken to ensure that it does not happen again. All personal letters should be placed in a sealed envelope. Each envelope should be dated on the back of the envelope and the “collection box” should be checked on a monthly basis. Any letters that are over 4 weeks old should be opened and checked. Inform their GP that the letter has not been collected so they can follow this up. The GP might need to call the patient and ask if they still need the letter, and according to their reply the necessary action taken. 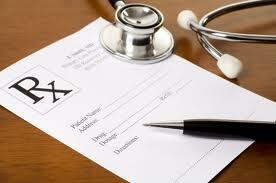 If your practice asks you to follow the letter up ensure that you record the event. Enter on the patient’s records (or in a separate message log) that you have spoken to the patient about the letter and their response and the action that you have taken. Also remember to date and time the call. If the letter is not longer required remove the letter from the “collection box” and ensure that you have guidelines on what to do with it. Shred it, or other. If the letter is required and the patient is going to collect it cross off the first date and add the date you spoke to the patient on the back of the letter to avoid the same process happening again. If you go to the “collection box” and identify two letters there look at the dates on the back of the envelopes, check the patient’s records and see which date corresponds with the envelope. If you are unsure open and check the letter and place it in a new envelope. remembering to add the dates on the back again. In today’s society Patient Confidentiality is vital – we should be asking if we should have actually given such a letter over to her husband. But it was the patients choice to have her husband come in and collect the letter for the Court. Having it in a sealed envelope is definitely more secure than just handing over the letter without an envelope. So please ensure that all confidential letters are in sealed envelopes. 99% of the time it would be safe to hand over such a letter – but there is always that 1% that could backfire. But with everyone living such a busy life we always rely on family/friends helping out at such times. If you are in any doubt speak to your Supervisor/Manager or even phone the patient and ask if they are happy for you to give the letter to the person at the desk. The 1% of this backfiring could be that when her husband read the letter which was meant for the Gynaecologist it could have caused a big problem, especially as she had already said she did not want her husband knowing about the termination. This could have led to the surgery being sued for breach of confidentiality. Always think of the 1% and cover yourself as much as you can. Does your practice have a policy on the collection of letters? How do you give out repeat prescriptions at your Surgery? 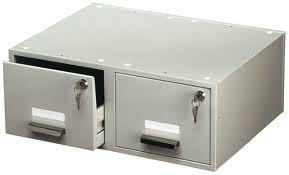 Do you keep your repeat prescriptions in a secure box? 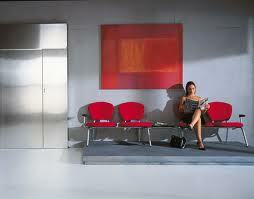 Are they kept near to the reception desk for easy access to give to patients when they are collecting them? Do you lock or secure your repeat prescription box during the lunchtime and at night? If not you should. There have been occasions (not many I am pleased to say) where the prescription box was kept in easy reach of the reception desk and they have been snatched – so always ensure that the box is kept a good distance from the desk to avoid this from happening. Do you give our prescriptions to people other than the patient? Of course you do – prescriptions are collected for patients by family members, neighbours or carers. In today’s society people work or might be housebound and often cannot get into collect their own prescription – so we all accept that people other than the patient will come in to collect a prescription. We all like to make things easier for our patients – after all that is what we are there for – we get to know our patients and will often go out of our way to help in any way we can. But sometimes you might think you are doing the right thing – but perhaps you are not – you need to stop and thing before you maybe “offer” that extra help. Here are two true stories that actually happened to me when I was a Receptionist. On both occasions I thought I was doing the right thing. I thought I was being helpful when in fact I wasn’t – it actually could have backfired and cause a problem. Let me share them with you. Mrs Joan Morgan came into the Surgery one morning to collect her normal repeat prescription. I went to the box to get the prescription and seen that her daughter Miss Catherine Morgan’s prescription was there too waiting to be collected. Mrs Morgan did not ask for her daughter’s prescription, but had in the past collected a prescription for her as did her daughter for her. I knew that Mrs Morgan and her daughter had a good relationship and lived together and they were often in the surgery at the same time. So I had no hesitation is asking her did she want to take Catherine’s prescription at the same time. She said she would. I gave her the two prescriptions – she looked at the prescription and with a gasp she looked at me and said “I didn’t know Catherine was taking the birth pill”. I realised then that Catherine had not asked her mum to collect her prescription for a reason – the reason being she did not want her mum knowing she was on the birth pill. I realised I had actually broken patient confidentiality. I spoke to my Reception Supervisor and she advised me to telephone Catherine to explain what I had done. Thankfully Catherine was extremely good about it and said that she would speak to her mother when she got home. It is times like this when you have a good relationship with the patients that you are able to telephone them, explain what has happened and they will understand that you were only trying your best. I found that by having a good relationship patients they are far more understanding. They know that you are trying to help. You will also find there will be fewer complaints. Mr Joe Allan came in again one morning asking for his repeat prescription. I went to the box and seen that his son Ben Allan’s repeat prescription was there too. Aware of what had happened before I checked Ben’s prescription – it was for his asthma inhaler – and again his dad had often picked up this prescription for him. So I thought this time I would be safe – there was nothing confidential on there so I asked Joe if he wanted to take Ben’s prescription as well. He said he would. Then at 12.55 (five minutes before we closed for lunch) Ben came flying into reception. He asked for his repeat prescription for his inhaler – he had run out and was feeling a bit poorly and needed it. My heart sank – there was no Doctor on the premises as they were away doing their home visits. Ben explained that he was come up to the surgery in his lunch hour and would not have time to go home to get his prescription from his dad. Luckily enough we had a very good understanding with the chemist across the road from the Surgery and I telephoned them and they said that they would issue Ben with an inhaler as he was a regular customer there and had his records, but on the understanding that he or his dad dropped his original prescription in to them the following day. So there are two different examples where I thought I was helping a patient but in fact it led to them having problems because of it. So from then on in – unless someone specifically asked for someone’s prescription it stayed well and truly in the box until it was requested. Repeat prescriptions are a big part of the daily workload in a GP Practice. Patients depend on getting them on a regular basis and it is vital that they are correct and issued within the 24/48 hour practice policy. Dropping off their prescription at their local chemist who will then bring the prescription along to the Surgery. The above has made it a lot easier for patients that are working to be able to request their repeat prescriptions in time – a visit to the surgery is not always necessary. Most Surgeries are opened from early morning to late afternoon/evening to enable patients to collect repeat prescriptions, and if this is not suitable the patient can provide a stamped addressed envelope for its return. 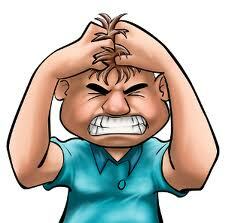 So, why is it that patient STILL continuing on a regular daily basis to come rushing in demanding a repeat prescription there and then? As a Receptionist you will know exactly what I mean. You will find the patient will stand at the desk demanding their repeat prescription, and telling you that if you do not give it to them NOW they will probably die! Yes it happens, and of course we are not in a position to refuse them their medication and the patient knows that. And what you will find it will be the same people month in and month out that are doing this every time, and more often than not it will be people who are not working and have plenty of time to come in on other days – preferably with plenty of notice. What the patent does not realise is the extra work that this “urgent” repeat prescription can cause. One Surgery that I worked in could have up to 160 repeat prescriptions to process ever day. This would involve a prescription clerk processing the prescriptions, flagging up any queries with the doctors, phoning hospitals to query changes to patient’s medications, and updating the computer system for patients that needed to come in for checks i.e. Asthma, Blood Pressure and Diabetics etc. The prescriptions would then have to be checked and signed by the doctor and when that had been done them all files into alphabetical order ready for collection. This is not a 5 minute job. The receptionist will have to generate the prescription which means that she will have to put aside the work she is already doing. The Receptionist then has to go and stand outside a Doctors room to wait on a patient coming out before she can ask the Doctor to sign the prescription. Any Receptionist having to do this will tell you that they could be standing outside a room for anything up to 15 minutes. This then makes a shortage of receptionists in reception – causing patient to wait longer to be seen or worse still the telephones not being answered. And what is unfair is the patient that is not following Practice policy is actually being put first and those patients that are following the policy are waiting 24/48 hours when in fact they could have done exactly the same thing. How would your Surgery cope if you had half of your patients demanding repeat prescriptions in such a way? This was highlighted as becoming a problem in one of the surgeries I worked in. The Receptionists seemed to spend more time standing outside the Doctors rooms waiting on “urgent” prescriptions being signed, and the Doctors were getting pretty fed up being asked to sign and check these requests on a daily basis. I discussed this issue at a Team meeting – and it was agreed that we could not refuse a patient their prescription as they needed their medication. And we all agreed that there were often genuine cases where people had run out and not realised it and these we fully understood – what we needed to try to solve was the same patients that were coming in on a regular basis demanding their prescriptions there and then. So, we agreed on a policy which we implemented and it worked. We agreed when a patient came into the surgery “demanding” their repeat prescription that we would explain our policy of 24/48 hours notice, but would tell the patient that on this occasion we would get their prescription done – but it would not be ready until after 4.30 that same day. This meant that the patient had to come back to the surgery to collect the prescription and hopefully make them think twice next time and hopefully start using the correct system. Of course we would not have done this is someone did have difficulty getting back, or if they were disabled – but it was not these patients that were causing us the problem – it was often fit or young patients that could quite easily come back later on that day. It was not our aim to refuse or be difficult but to try to re educate these patients so that everyone was given the same service. To begin with we had patients that were not happy – after all they were used to getting it done there and then. But this system did work – those that were genuine were only too happy to call back again at 4.30 and those that were taking advantage soon realised that perhaps they should get their repeat prescription in 24/48 hours earlier. Within a couple of months the only requests we got were from the odd few patients that did have genuine reasons to request as urgent prescription. Do you keep them in a secure box? 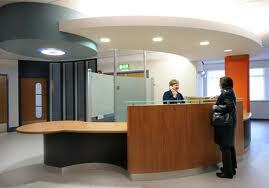 Are they kept near to the reception desk for easy access to give to patients when they are collecting them? Do you lock your repeat prescription box during the lunchtime and at night? If not you should. Inform their GP that the letter has not been collected so they can follow this up. Enter on the patient’s records (or in a separate message log) that you have spoken to the patient about the letter and their response and the action that you have taken. Also remember to date and time the call. In today’s society Patient Confidentiality is vital – we should be asking if we should have actually given such a letter over to her husband. Having it in a sealed envelope is definitely more secure than just handing over the letter without an envelope. 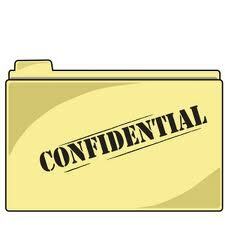 So please ensure that all confidential letters are in sealed envelopes.